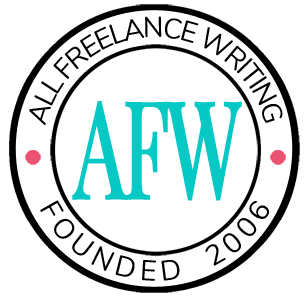 For this week's new resource, let's turn our attention to promoting your writing business. Whether that means promoting your freelance writing services, marketing a book, or growing your blog, there are numerous ways you can turn to other types of writing to promote your work. 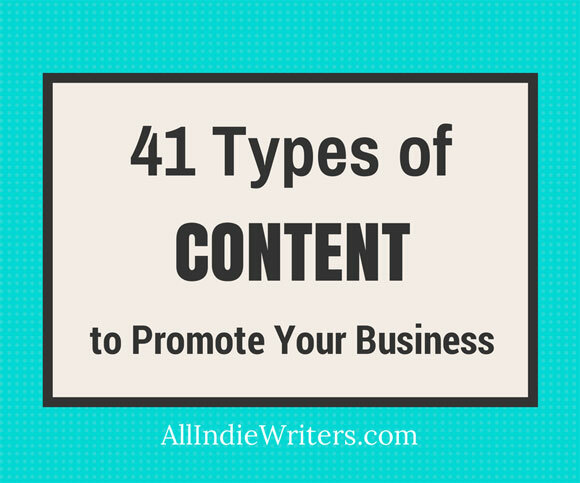 To point you in the right direction, here are 41 types of content and copywriting you can turn to when you need new promotional ideas, or in fleshing out your overall content strategy. You can download a .pdf version below to print out and keep in your idea file. Do you have other examples of content or copy not included here? Leave a comment to share any additional suggestions. You’re putting out a ton of great resources this summer. Can’t wait until I have time to really dig in! Data and knowledge are power This is true for any business effort, online or offline, paid or unpaid. Despite the recent Google (not provided) update, online media is still the most trackable marketing channel available. Taking advantage of free resources like Google Analytics and using them to their full capacity will take your content efforts to a level you’ve never known was possible. That sums up the list of ways to promote online. A good strategy should try to cover most of those 41 outlets. Thanks for the list. You’re welcome Steve. The key, as with most things, is to choose the options that make the most sense for your business. So focus on content types that are most likely to reach and influence your specific target market, and don’t waste time and resources on things that won’t get that job done. Thanks, this is a really comprehensive list Jennifer! I’ve recently started paying more attention to using graphic elements to promote my posts, especially infographics.